The International Investment Forum "THIS IS IT, SIR!" On April 11-12, 2019, the International Investment Forum "THIS IS IT, SIR!" will take place in Nizhnekamsk. The organizers of the forum are Tatarstan Investment Development Agency and the Executive Committee of Nizhnekamsk municipal district. The forum "THIS IS IT, SIR!" has a number of goals. First of all, to reveal a huge investment, economic, human, scientific and cultural capacity of the Republic of Tatarstan and Nizhnekamsk municipal district to the guests. A unique feature of the forum is the participation of top officials of the republic, top managers of the largest enterprises of Tatarstan and Russia, leading experts in various fields of petrochemistry and oil refining, a wide range of representatives of the business community, which will allow all the participants to reach new agreements, establish profitable contracts. 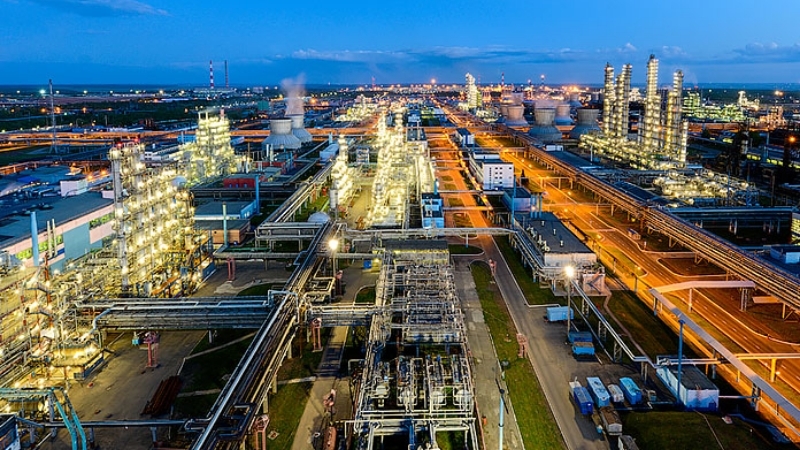 The organizers of the forum set themselves other ambitious goals: to attract new investors to the Republic of Tatarstan and Nizhnekamsk municipal district, to stimulate city-forming enterprises to attract new investments. One of the main topics of "THIS IS IT, SIR!" forum will be on active Advanced Development Territories of the Republic of Tatarstan, tax benefits provided to the residents of ADTs, prospects for the development of Territories, establishment of business relations between small and medium-sized businesses and the largest enterprises of the region. 700 guests are expected to visit the International Investment Forum "THIS IS IT, SIR! ": entrepreneurs, heads of the largest enterprises of the petrochemical and oil refining industries, foreign delegations from China, Turkey and other countries, representatives of the collectivities of the Republic of Tatarstan and Russian entities, plenipotentiary representatives of Tatarstan abroad. For two days, the exhibition in the frames of the forum will be operating, where 50 information stands will represent Tatarstan Investment Development Agency, industrial and investment parks, five Advanced Development Territories of the Republic of Tatarstan, the largest industrial enterprises, banks, higher education institutions preparing personnel for the enterprises of Tatarstan, etc. Also, in the frames of the forum, 4 sections will be operating: "Opportunities of cooperation with PJSC "Nizhnekamskneftekhim" for the supply of products, purchase of raw materials and implementation of investment projects", "Opportunities of cooperation with PJSC "Tatneft" ("Tatneft-Neftekhim" Management Company) for the supply of products, purchase of raw materials and implementation of investment projects", "Investment opportunities of the Republic of Tatarstan" (ADTs, grants, industrial sites, industrial parks)" and "Opportunities for staffing new investment projects". During the plenary session of the participants of the International Investment Forum "THIS IS IT, SIR!" there will be a discussion on "Investment in small towns (risks, prospects, pros and cons)". Representatives of the leadership of the republic, heads of the cities and districts of Tatarstan and Russia, ministries and departments of Russian entities, management of TAIF and Tatneft, plenipotentiary representatives of Tatarstan in the Russian Federation and abroad, foreign partners, investors, heads of educational institutions, financial institutions will participate in the discussion. The participants of the International Investment Forum "THIS IS IT, SIR!" will face informal dialogues in an atmosphere of trust and openness, which is especially important today, when the conditions for doing business, for investment, and everyday life are changing dynamically. Within the framework of the business program of the forum, speakers are invited for seminars, sections on topics and round tables. The work on the margins of "THIS IS IT, SIR!" will give all the participants of the forum the opportunity to strengthen and establish business relations, based of the principles of openness and mutual respect. The organizers of the forum hope that the beauty of the city on Kama, the hospitality of its residents, cultural and creative activities will also please the guests of the forum and will contribute to useful and trusting communication.